Our goal is to connect people with the best local experts. We scored wedding photographers on more than 25 variables across five categories, and analysed the results to give you a hand-picked list of the best wedding photographers in Salt Lake City, UT. Alex Adams Photography serves Salt Lake City with beautiful photos to commemorate any occasion. Artist Alex Adams is professionally taught and specializes in contemporary women’s portraiture, and fine art wedding photography. Modern Jewish Wedding, Wedding Wire, Little Peanut, and Salt Lake/Park City Bride and Groom have all featured her work. Alex Adams Photography offers portrait, wedding, and boudoir shot packages that fit a variety of budgets and needs. Her experience as an event planner plus her love of weddings gives her an edge in helping a bride and groom to select shots and organize the day to get every detail right. Based in Taylorsville, Brock Best Photography is an award-winning Salt Lake City photography studio that specializes in capturing special moments. The studio's expertise incldues bridal and wedding imagery, family portraits, commercial imagery and modeling portfolio images. Brock Best Photography won the WeddingWire Bride’s Choice Award in 2011, 2012, and 2013. Brushfire Photography is an onsite wedding photography company located in Salt Lake City, Utah. Their experienced team of photographers is willing to travel around the country and the world for their clients, and they are committed to photography as a medium of storytelling and preservation. They primarily shoot weddings, but they also offer engagement photo shoots and lifestyle portraits. They are also willing to teach other photographers and provide one-on-one mentorships. Their favorite weddings to photograph are elopements and highly intimate weddings. Customers speak highly of the quality of the photos and the friendly personalities of the photographers. Based in Highland, wedding and lifestyle photographer Camille Garrison provides families, couples, and individuals throughout the Salt Lake City area with personalized imagery to capture special moments. Camille has more than a decade of professional experience and describes her photography style as fresh, modern, and natural. She brings a relaxed and fun approach to her photography sessions, which allows her to her to capture candid moments, real emotions, and the individual personalities of her clients. Her experience includes but is not limited to engagement, bridal, wedding, and portrait photography. Carter Photography is based in Salt Lake City and offers clients wedding, birth story, individual portrait imagery. This business also offers photo restoration on old photos, the transfer of black and white images to color, and editing. She has a relaxed shooting style with a goal of capturing relaxed and candid moments. Based in Salt Lake City, Cat Palmer specializes in capturing portrait, wedding, boudoir, maternity, and animal photos. Cat’s interest in photography started at age 15, and she began her career in professional digital imagery in 2005. Cat has been featured in the Salt Lake Tribune and the Salt Lake City Weekly and received the Best Photographer Award from Artys City Weekly in 2007, 2008, and 2011. Danielle Woodall Photography is based in Salt Lake City but travels throughout the country. This business offers imagery that includes but is not limited to wedding, individual, family, maternity, and child portraits. Danielle’s goal is to capture real, raw emotions and dark, rich colors. Dee & Cory Productions is a Salt Lake City-based photography and videography business serving but not limited to weddings, portraits, fitness, product and commercial work. Specializing in location lighting, they bring the studio to you, whether at your wedding or on top of a mountain! This allows them to create bright and vibrant colors and full control over their surroundings to get the best images possible. The company is owned and operated by a husband and wife team with over 6 years of experience working together. Cory holds a Bachelor’s degree in Digital Photography, and Dee holds a Bachelor’s degree in Video Production. Their similar tastes and training help the couple meld their styles together seamlessly and beautifully whether it is shooting photos or video. In addition to winning the Best Wedding Photographers in SLC from Expertise for three years running, the company has also earned the Wedding Wire Couple’s Choice Award for 2017 and 2018! Nationally-recognized Dezember Photography is a team of 8 professionals based in Salt Lake City. The studio specifically focuses on weddings, family portraits, corporate events, commercial products, and on-location special events. Dezember Photography is rated among the top 1% of wedding photographers across the country by The Knot and is a multiple-time winner of Wedding Wire's Couple’s Choice Awards. Jessica Peterson is a top-rated Salt Lake City photographer that offers imagery that includes but is not limited to portrait, lifestyle, and child photography. Jessica has a BFA in photography from Art Center College of Design in Pasadena and has nearly a decade of photography experience. She has had images featured in Shape, Kinfolk, Real Simple Weddings, PDN, Utah Bride and Groom, Parents, and Readers Digest. Kendalls Media is a Salt Lake City wedding photography and engagement photography studio that specializes in capturing unobstrusive photojournalistic images full of love and natural lighting. The photographer captures the non-choreographed moments and emotions of the wedding but is versatile enough to take posed family and group portraits. Kendalls Media sends clients approximately 100 final images per hour of photography, and has a second photographer available for maximum coverage of the wedding day. Kresta and Victor Stavre are Salt Lake City wedding and boudoir photographers that have served the Utah Wasatch Front since 2007. They also capture engagement, fine art, and glam images. Former customers rave about the photographers' ability to capture the emotion and beauty of a local or destination wedding. Lindsay Salazar Photography focuses on family portraits and interior design. Lindsay has also provided the residents of Salt Lake City with engagement, anniversary, advertising, and showroom imagery. Lindsay's work has appeared in Better Homes and Gardens, Restyle Source, Mini Magazine, and Utah Style and Design Magazine. She has also appeared as a guest photographer on Good Things Utah and served as a guest judge on I Heart Faces. Melissa Papaj Photography offers photography services to the residents of Salt Lake, Davis, Weber, and Utah Counties. Melissa has more than 10 years of experience in photography with a focus on weddings, bridal images, engagements, newborn portraits, and senior portraits. Sessions take place in studio or on location. This business won the Bride’s Choice Award in 2010 and 2011. Rachel Nielsen Photography is a Salt Lake City wedding photography studio that is available for destination weddings. Rachel strives to make her customers feel comfortable in front of the lens, and specializes in naturally lit candid, relaxed images that are modern, romantic, and timeless. Rachel has appeared in the Click Magazine blog, is an instructor at Click Photo School, a member of Click Pro, and is also a Clickin Moms Mentor. Ryan Hender Films offers photography services for weddings, wedding videography, and real estate videography to the residents of Salt Lake City Metro area. This company received the Utah Wedding Videographer Best of 2016 award. Services include aerial photography, event photography and videography, storytelling, video editing, layout and production, advertising, marketing, and scripting. Out of state wedding imagery is also available for an additional charge. Sarah Galli Photography brings 20 years of wedding photography experience to brides and grooms in Salt Lake City. The photographer recommends a personal meeting ahead of any final booking and only takes two weddings a month to ensure proper attention is given to every client's big day. Services include up to 10 hours of coverage at the wedding, an engagement shoot, an online gallery of edited images, and a print release, and couples can request a second photographer. The studio works in both color and black and white and captures natural, candid moments as well as some poses throughout the event. Sarah Galli also offers fine art photography, commercial and editorial work, and portrait photography, and samples of all work can be found on the studio's site. Since 2012, Stacey Petersen Photography has offered the residents of Salt Lake City, Utah County and Davis videography and photography of birth stories, as well as wedding, engagement, and family portrait sessions. Based in West Jordan, Stacey Peterson has worked in photography since 2006 and has had her work featured on Inside Edition and ABC Good Things Utah. Travis J of Travis J Photography is a Utah-based professional photographer that specializes in wedding and portraits. Travis aims to create images that will hold up in the long-term due to their classic feel, photographs that convey the happiness of those captured in them. He enjoys helping people create lasting memories of special days, and he’s willing to travel for it. Travis has photographed weddings and engagements in California, Washington, Arizona, the Virgin Islands and more. He also offers mentoring services that allow aspiring photographers to tap into his extensive experience to help them progress in their craft. From finding clients to refining poses, Travis J can help. Vue Magnifique is one of the most respected wedding photography providers in Salt Lake City. The company takes pride in its team of camera artists, who have years of combined professional experience and industry exposure, and it uses the latest and most reliable equipment for capturing and preserving moments of bliss. The crew has what it takes to take the perfect shots, and it delivers the best results with respect, timeliness, and excellence. 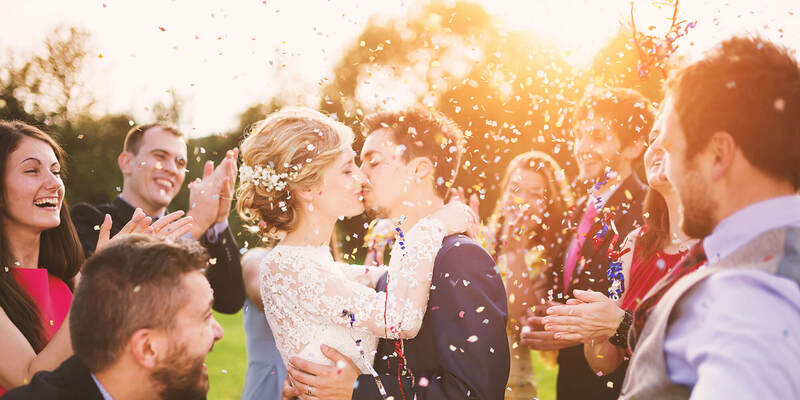 Vue Magnifique welcomes all types of unions, including multicultural rites and LGBT celebrations of love, and it offers a range of packages to suit each client’s requirements and goals. The shop also crafts portraits of individuals and groups of happy people, and it engages in commercial and fashion photography as well.